Did anyone watch the Miss America pageant this weekend? I would be ashamed to admit to it normally, but when someone’s talent is a yodeling ventriloquist act (you heard that right) or describes their biggest asset as being “racially ambiguous” (same person) how can you not be entertained? Anyway, if your attention was taken away by Miss America, or the Jets beating the Patriots, or the Golden Globes, then here is the news you missed. “My sixth grandfather, Pedro, is buried here along with some of his family. I don’t want them dug up.” Gabrieleno Indians fight to preserve a burial ground where a Mexican cultural center is planned. The teen birth rate has seen a major decline, but the cause is something left to be determined. In today’s paper, reporter Maritza Velazquez has a story about how the Walnut Valley Unified Board of Education’s decision to fire its recently rehired superintendent is going to cost the district hundreds of thousands of dollars. In a time when schools are hard pressed for funds, districts are laying off teachers and staff, and the future is uncertain, the board must have good reason to make such a fiscally detrimental decision. Unfortunately, they haven’t been willing to give one. Instead, following the unanimous vote, the board said the split was “amicable” and amounted to nothing more than a difference in leadership and management style that apparently was worth spending about $16,000 a month for her to be gone. This when the district is facing a $3.3 million budget deficit. I have never been fired from a job before, but I hope if I ever do, it can work out as well as this one. $16,000 a month to fire her? I have friends who have stayed with girlfriends they didn’t like just because they needed a ride to work and didn’t want to pay for the bus. The board has to wonder, will this be easy for taxpayers, and voters, to swallow? 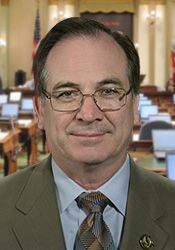 There seems to be some confusion over Sen. Bob Huff’s involvement in a Senate vote on Wednesday. Huff participated in a procedural vote that helped move an environmental bill to the Senate floor. Problem is, that environmental bill — which passed 22-14 — will exempt a proposed NFL stadium in Industry from state environmental laws. Members of the Citizens for Community Preservation Inc., which has a lawsuit filed against the stadium, said the vote was unethical because of Huff and his wife’s involvement with Industry and the stadium’s developer. “(Legislators) didn’t have enough votes to move the vote to the floor for, so Huff voted to get it to there,” said Howard Wang, first vice president of the citizens group. “He said he’s not going to vote because of his personal interest with the stadium and his relations with Industry. Second of all, his wife is an executive of Pacific Palms Resort. Pacific Palms is master-leased by Majestic, its CEO Roski and the company’s Vice President John Semcken under a partnership called Majestic Industry Hills, LLC. Wang said the citizens group was consulting with officials at the state’s Fair Political Practices Commission to determine if there is a potential conflict of interest. The group is mulling filling a complaint against Huff. It’s almost official — almost. The Industry City Council approved a $9 million settlement agreement with Walnut on Thursday. 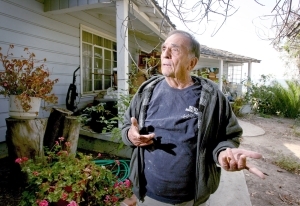 That leaves only one legal challenge left — a lawsuit filed by a citizens group in Walnut. It appears talks to settle that suit have broken down, though I’m sure billionaire developer Ed Roski Jr.’s people aren’t giving up that easy. In the meantime, take our online poll (just scroll down the homepage) to vote for which NFL team you would like to see in LA. 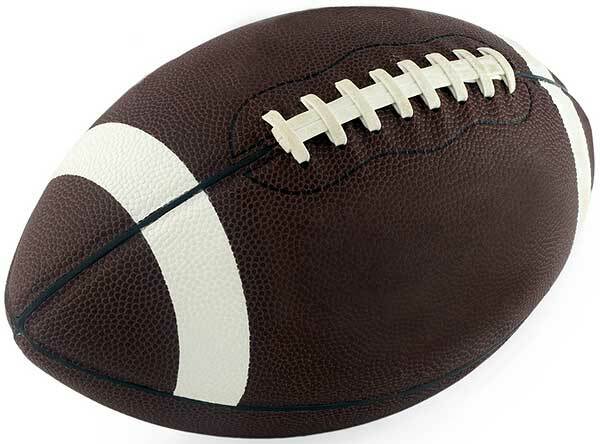 James Wagner reports that Walnut has agreed to drop its lawsuit against Industry over the proposed NFL stadium for $9 million, among other concessions. The settlement agreement was approved by the Walnut City Council on Tuesday. It’s expected to go before the Industry City Council this morning. According to Wagner’s story, “Under the terms of the settlement agreement, Industry will pay Walnut $9 million for traffic improvements. In addition, Industry will pay for all improvements on Valley Boulevard near Fairway Drive and pay a ‘fair share’ of three other traffic improvement projects. The most interesting part however is that a provision in the agreement prohibits Walnut officials from helping any opposition to the project — that includes a pending lawsuit filed by Citizens for Community Preservation Inc. It seems Walnut Councilman Joaquin Lim may not understand that provision. He told Wagner today that if the Citizens group held a meeting and invited him, he would attend. It’s not easy fighting billionaire developer Ed Roski. And apparently, it isn’t cheap either. Reporter James Wagner had a story in today’s paper about the price tag of Walnut’s legal fight against a proposed National Football League stadium in neighboring Industry. The tab was already at $320,000 since September. That was until Wednesday, when the City Council approved setting aside another $150,000 for additional legal fees. That brings the total to $470,000. Councilman Joaquin Lim told Wagner the “expenses are very well justified,” especially when you compare it to how much the city stands to lose in the future if the stadium is approved. Not everyone agrees, however. Some residents argue the city is wasting taxpayer money on a losing battle. The L.A. Times tackles a story about the number of Brown Act violations investigated by the District Attorney’s office, which receives dozens of complaints a year from constiuents across Los Angeles county. The Brown Act is the state’s open meeting law. Among the cities mentioned in the story is Walnut, which was threatened with litigation for a closed door meeting in which, “Mayor Joaquin Lim was said to have led a council discussion and polled his colleagues about opposing construction of an NFL stadium in the neighboring city of Industry,” according to the Times article. But as Terry Francke points out in the story, it is very difficult to see criminal charges come from Brown Act violations. But criminal charges are nearly impossible to bring, said Terry Francke, a lawyer and author of a guide to the state’s open meetings law. Prosecutors must show that an official intentionally violated the law, a difficult standard to meet in court, he said. “The idea of a letter, firing a shot across the offender’s bow, is a very good one,” Francke said.